You are not logged in. 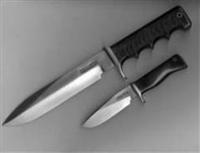 [Log In] Knifetalk Forums » Forums » Randall Knife Talk » Randall - Want to Buy » 12-13 Thorpe Bowie Sheath - JRB Tight Stitch. #177811 - 02/10/19 12:22 PM 12-13 Thorpe Bowie Sheath - JRB Tight Stitch. Still need one, top dollar paid!